After our merger with Colab Zürich and the rapid growth we experienced over the past year, many have asked us this question. And rightly so. The original Impact Hub had a clear focus on social entrepreneurship when it started out in 2010. Over the years, we noticed that many people interpreted the term social in a narrow sense and we found ourselves in a niche. We realized that if we were serious about creating impact, we had to open up and position ourselves in a more inclusive way. The main finding was that many saw us as a kind of biotope where a diverse species of entrepreneurs come together to support and learn from each other. 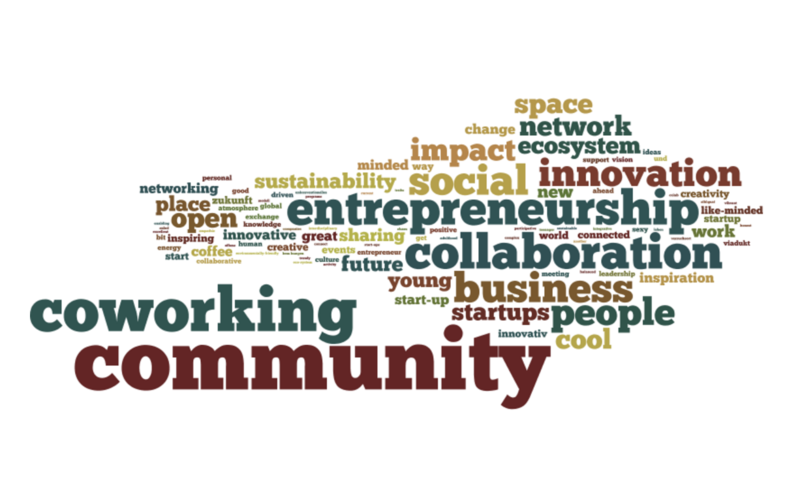 When asked about the core values that held this diverse community together, word clusters around the notions of entrepreneurship/prototyping (“we create”), collaboration/community (“we connect”) and sustainability/good (“we care”) emerged. Why radically? We know it’s a strong word and may even have some negative connotations. But the point we’d like to make is that the world needs to work together as one if we are to solve the many challenges of our time. And we hope that Impact Hub becomes a place where the first impulse is to connect, share and collaborate. Across organizations, cultures and generations. Hence the notion of a “radically collaborative world”. The world doesn’t change one person at a time. It changes as networks of relationships form among people who discover they share a common cause and vision of what’s possible. This is good news for those of us intent on changing the world and creating a positive future. Rather than worry about critical mass, our work is to foster critical connections. Please fill in this short survey to share your thoughts.